Surrounded by white beaches and world class surf breaks, Mule Malu is a peaceful oasis hidden on the Bingin cliff top, within walking distance to Bingin beach and a short drive to the famous beaches of Dreamland, Padang Padang and Uluwatu. A central location for surfers as well as a perfect base to explore the beauty of the bukit peninsula. 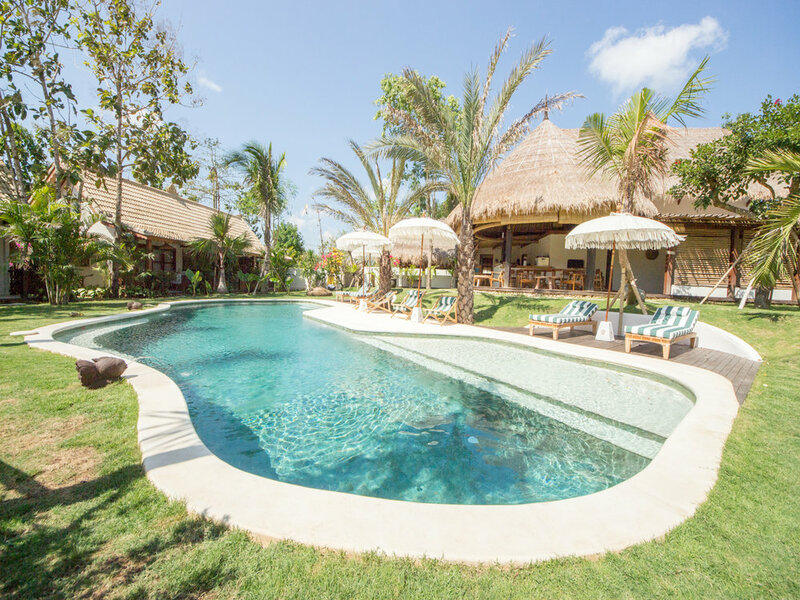 Consisting of just eleven cosy rooms, a salty pool and an intimate café to enjoy daily breakfast, delicious coffee, smoothies & juices, Mule Malu will soon become your favourite tropical destination! Fresh and relaxing mediterranean design combined with local traditional architecture, high quality mattresses & pillows and the quietness of Bingin farmland will guarantee you a peaceful sleep. How far is the closet beach? And what about a good restaurant? Where can I learn to surf? Shopping? Best beaches and/or surf breaks? We have some of the answers, with more information coming soon! Mule Malu strives to be environmentally friendly through the efficient use of energy, water and materials while providing quality services. All our water is extracted from the ground and then filtered using a Reverse Osmosis system. Then, we use a BioSeptic wastewater treatment system to safely process all household wastewater and recycle it as clear odorless water before sending it back to the ground.We take water from the island and we give it back cleaned. We have solar panels fitted to the roof to heat the water. Solar hot water is a green, renewable heating system that reduces carbon dioxide emissions. The walls and the roof of your room are insulated with a layer of Rockwool that improves thermal comfort since the room will stay at more even temperatures. Rockwool is also breathable, therefore it allows moisture to travel across them wall which can help dissipate damp. Mule Malu is an (almost) plastic-free property: we do not provide water nor any kind of soft drink in plastic bottles. We use bamboo straws, biodegradable plastic bags and we try to limit the use of single use plastic to the minimum. We offer free freshwater flow, available 24/7 at the bar.